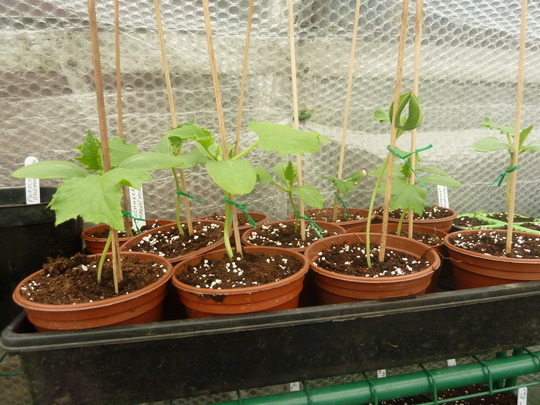 Hi folks..just thought i would show you what is growing in my heated greenhouse at the moment..
early runner beans..have since been re-potted & tied to sticks.spuds, first earlies..second earlies & maincrop. 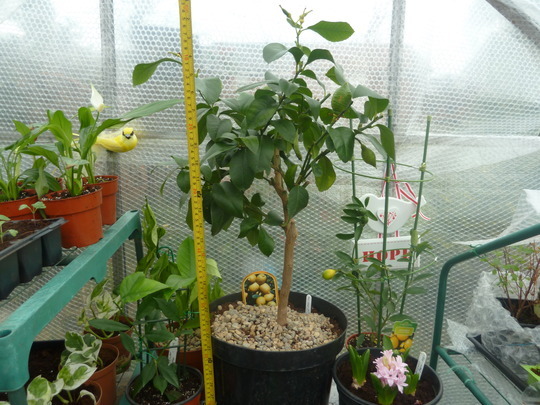 Lemon trees..2 from catalogues..lge one OH bought me from G/C a few weeks ago half price £15..2ft 3inch, I removed them from this G/H today as they like to be in a cool place..I have just found out..
onions on the left, seeds sown on Boxing day, walking stick cabbage on the right. 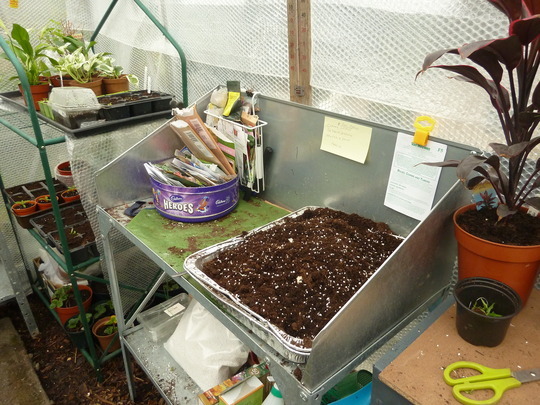 Ipomea in tray on the left & next few pics are bulbs/seeds for the garden. 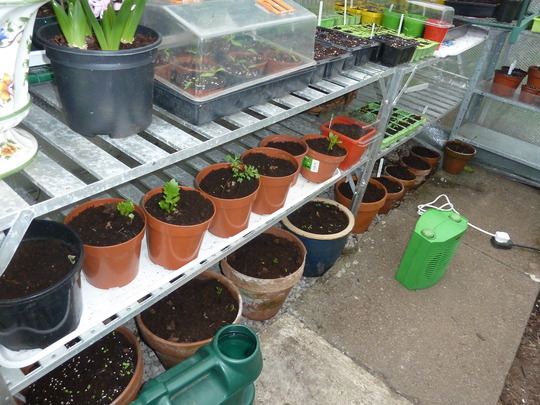 A few Coleus just peeping through..on the right at the back.. 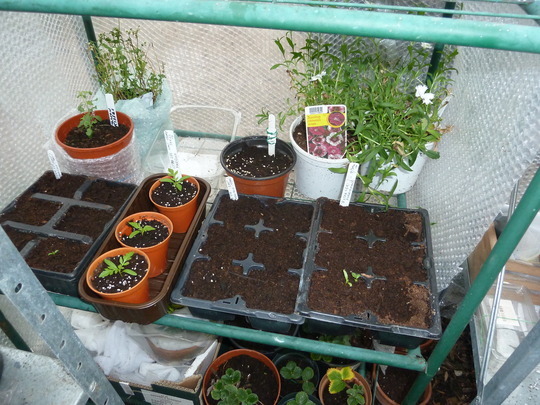 I didnt eat all the chocs while working in there ..honest..
pots on bottom 2 rows are to go in the garden..begonias, dahlias & a few others..
tray next to the hyacynth are Swiss Chard..behind them are Sweetpeas..
Peas..Douce Provence.. earlies, courgette,green beans & a few sunflowers on the right..
just the allotments to dig over in a few weeks now..thats OHs job..lol. Previous post: Colours & shapes of nature.. 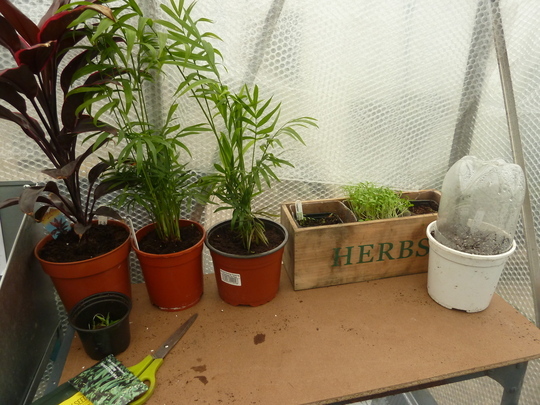 This all looks great Joanella, so much going on. Looks like a scene from much later in the year. You've got a lot of stuff there Joan. 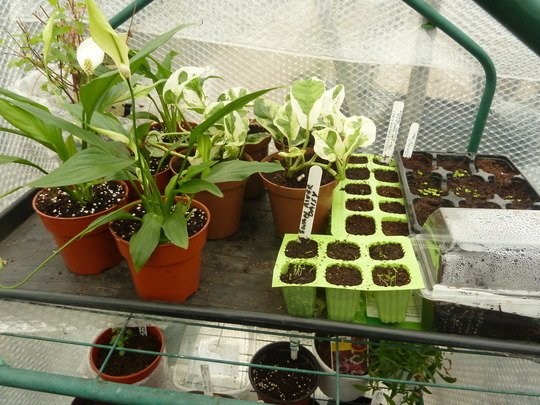 Do you heat the greenhouse ? Everything is coming along well with you. Thanks & yes Hywel a little heater just to keep it frost free..prob runs about £10 per wk in electricity..
Sue,i got a paraffin heater off a neighbour..thought i would stock up on paraffin in Oct & bought 3 plastic cartons £8 each...i had the heater on its lowest for one night..that was it for me..it stunk, so now i am stuck with a heater & the paraffin..the electric one i have is prob like yours i got it from B&Q about £12 ..& its great..
OMG i have so got to get my act together ,i have been a bit slow this year due to unforeseen circumstances but after seeing this it as inspired me again.Everything apart from one flower is dead in my greenhouse. 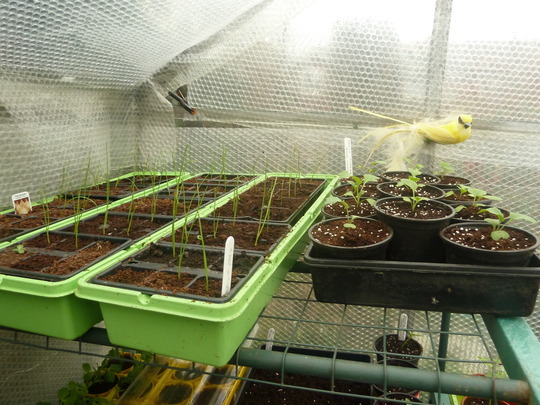 Wow, that makes me want to add some heat to my greenhouse instead of just having a heated propogator in there - but can I justify the elec bills?? Where do things go now? 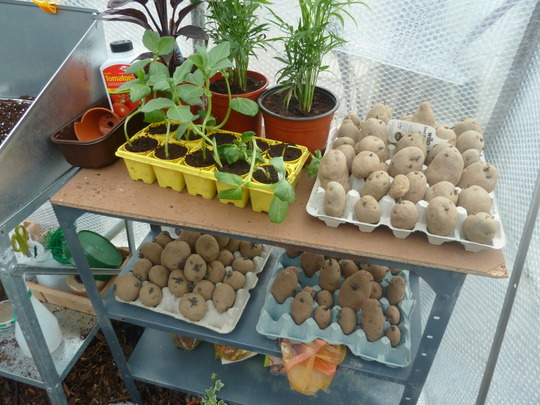 Do you plant them outside or under cover? 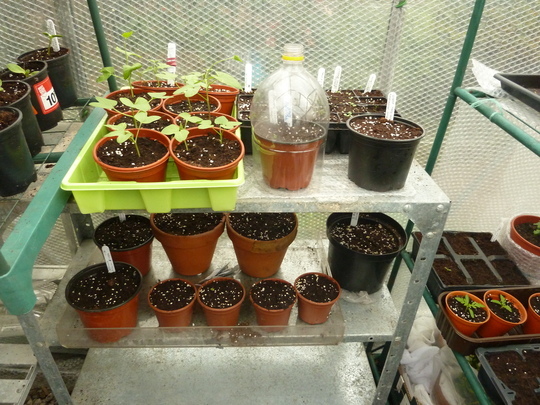 Do you risk losing things and having to re=sow later? M27 puts you in the clear Jo. Looks like you enjoy it though. 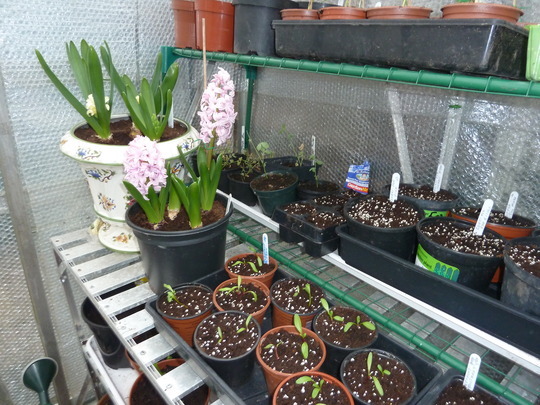 Goodness me , you're well advanced...the benefits of a heated greenhouse of course and lots of enthusiasm!!! 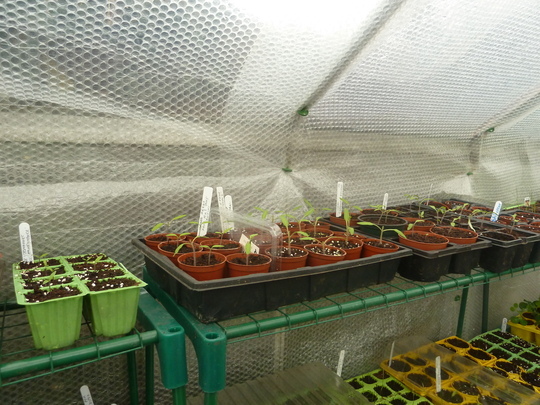 Had a bit of a discussion on when we all sow our seeds, on my blog of yesterday! 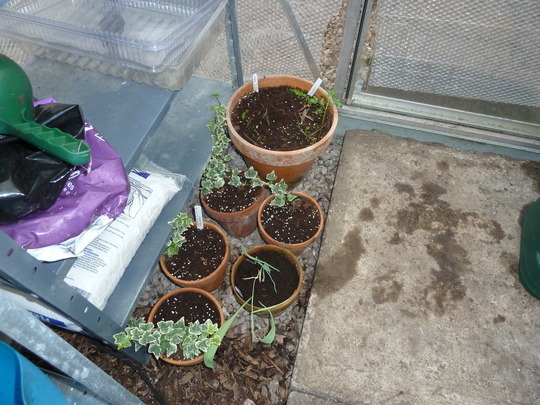 Without a greenhouse, I tend to wait now till March! 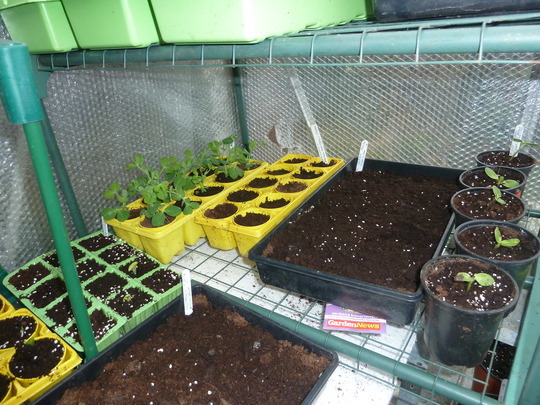 you'll have a great garden/allotment full this summer!!! !